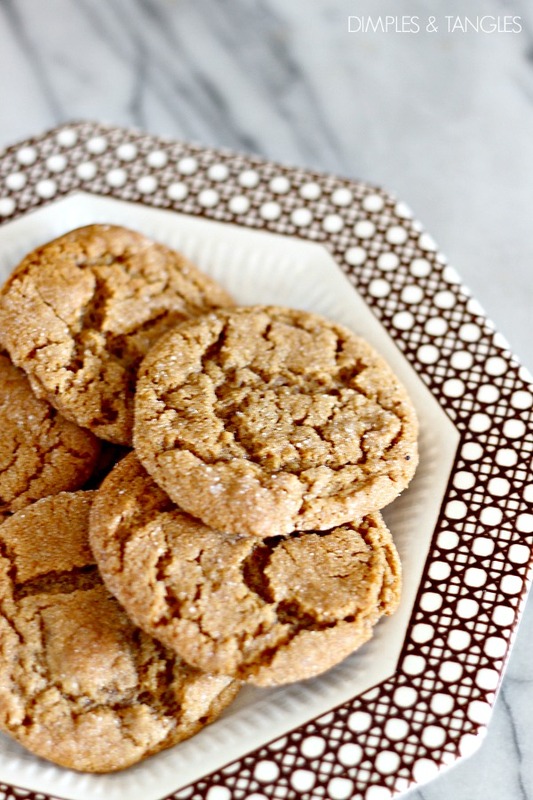 This is one of my favorite cookie recipes, yet somehow it got shifted to the bottom of the recipe basket, and I hadn't made them in a long time. 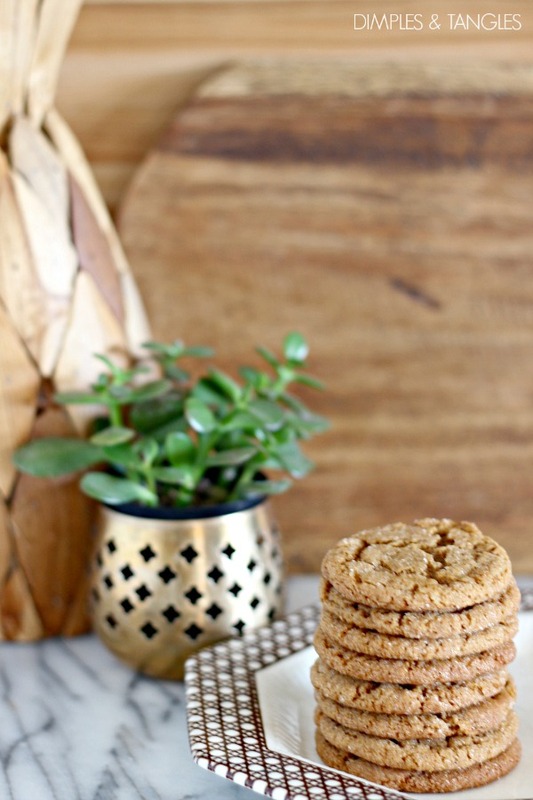 I resurrected the recipe last week and made a batch, then remembered that this cookie well deserves to be at the top of the stack! Seriously, they're quite addicting, and my kids especially couldn't stop pounding them down. Fair warning... these are so good you will have stuffed 5 in your mouth before you know what happened! Shopping tip: If you've never bought molasses, it should be near the breakfast syrup at your local grocery store. Cream together butter and sugar in mixer. Add egg, mix slightly, then add molasses. Add in dry ingredients and mix well. Use scoop to form dough into balls. 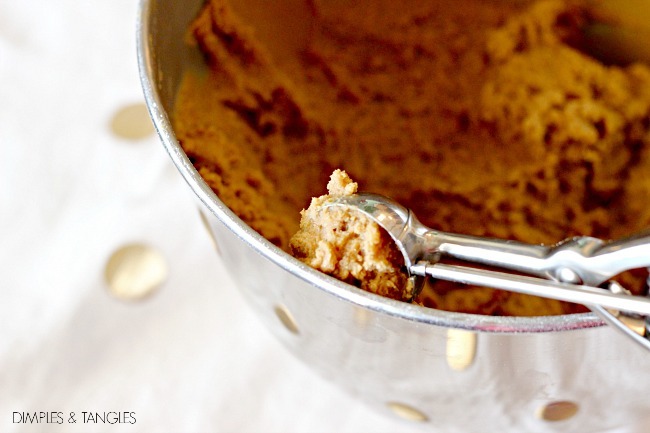 I use my small scoop, and by the time the cookies spread out as they cook they're just the right size. 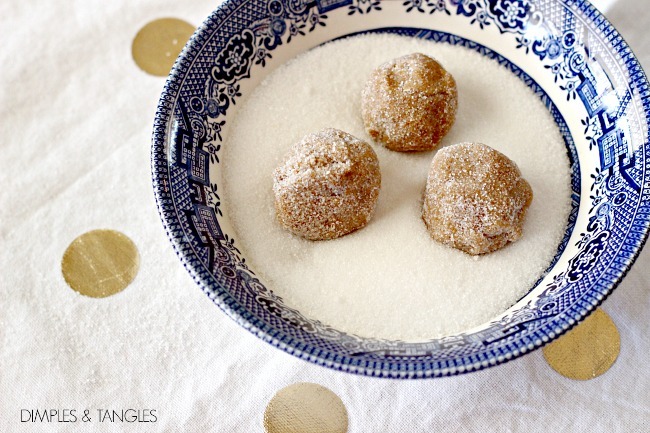 Roll each ball to coat in sugar. 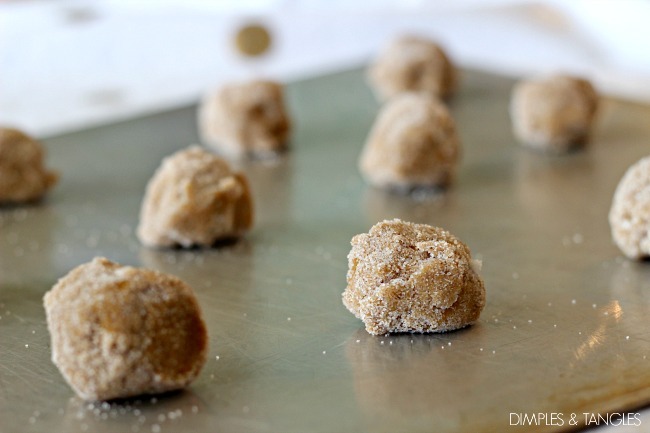 Place dough balls on cookie sheet and bake in a preheated 350 degree oven for 9-10 minutes. 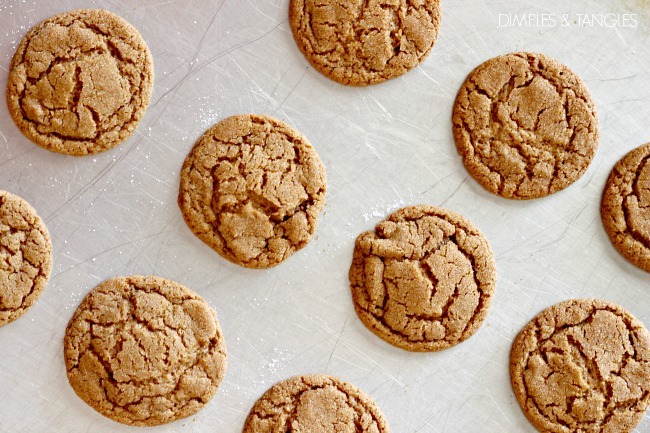 A longer baking time of 12-13 minutes is an option if you want a crunchier cookie, but I think 9 minutes is perfect, leaving them soft and chewy with a little bit of a crunchy sugar coating. They may not appear to be finished, but let them sit on the cookie sheet for a few minutes then remove to a rack to finish cooling. Many times I like to double the recipe, then wrap smaller portions of the extra dough in plastic wrap in a ziploc bag then freeze. It's nice to pull out the dough and just bake a dozen or so at a time when my family wants a treat. Let me know if you try these sometime, I'd love to know what you think! *Affiliate links used. I may receive a small commission on products purchased at no extra cost to you. Thanks for your support! 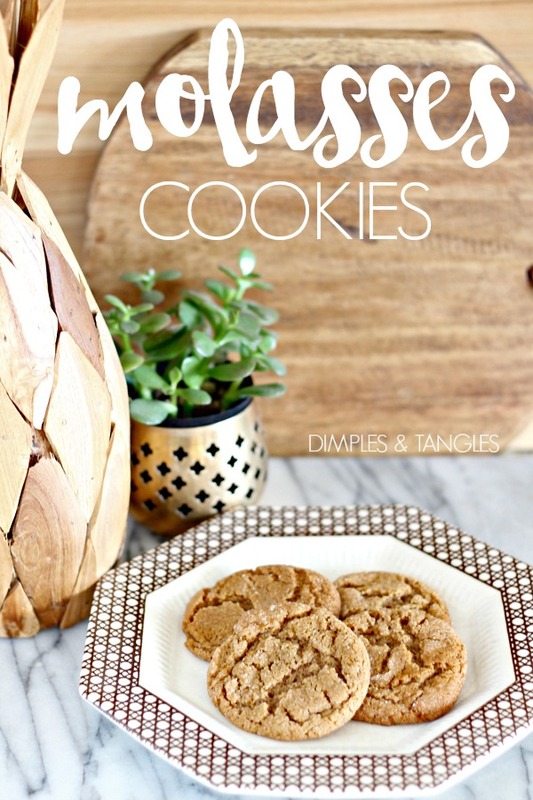 Never tried using molasses! These look yum! Thanks Jennifer! Yum! All the good baking recipes get passed to the hubby to make. I've started using Xylitol instead of sugar which tastes the exact same. So this might work for my daughter. Um yum! Definitely pinning these!! Thank you for this post. My mother used to make these cookies every time my youngest son was responsible for snack day at preschool. The teachers requested them every time. She also always made extra to send home for my other boys. Believe me, they didn't last long either. Unfortunately she passed away before I got the recipe from her (all her recipes where in her head). Now I can surprise my boys with a little memory of their Baw Baw. Stacye, I really debated on posting this (who really needs another cookie recipe? ), and your sweet comment made it totally worth it! I hope your family loves them half as much as they loved your mother's cookies, what a happy memory! I haven't made molasses cookies in years!! These look so so yummy! Thank you for sharing your recipe. I made these for my small group Bible Study last night and they were a huge hit! Prepped the night before and baked as we gathered. Thank you for this delish recipe! This recipe is great! And your directions were wonderful! They are YUMMY! Thank you!